As an aspiring at-home barista, it can be hard to select a good espresso machine from the plethora of options on the market. One of the biggest factors to consider when selecting a machine is what level of automation you want your machine to have. Do you want a classic manual? or a more modern automatic machine? or maybe something in between? We’re here to help you figure out which type is best for you. Read on to find out what’s-what in the world of espresso machinery. All espresso machines share similar components, so that they can achieve the perfect pull of espresso. These include a group head, portafilter, and boiler(s). Making espresso requires a few basic steps starting with a boiler that creates steam, which gathers in the grouphead. Then, a mechanism (varies depending on the machine) pressurizes the steam into water, which is then forced through a “puck” of espresso in a portafilter. 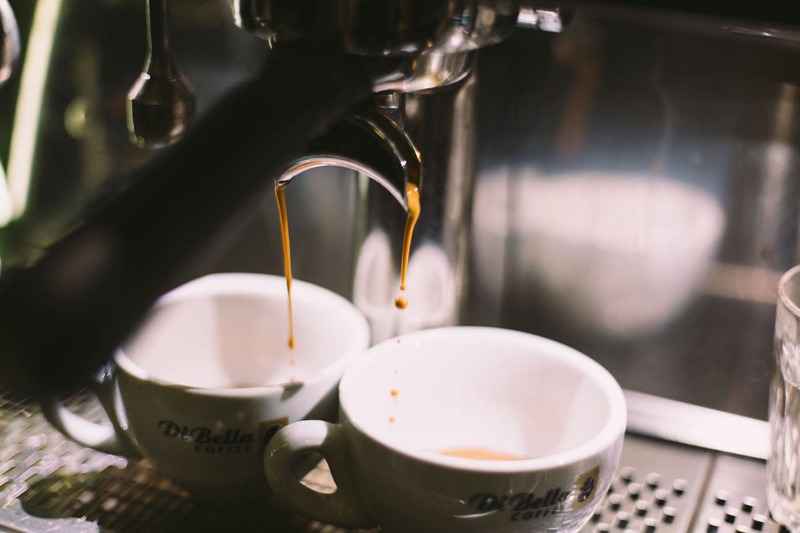 The supposed “sweet spot” for brewing espresso is at 195 degrees Fahrenheit with 10 bars of pressure. While this is the same regardless of the machine, the way that the process is executed varies greatly. Favored by the traditionalists, manual espresso machines (also called Piston machines) are the original way to brew espresso. They are piston driven and require the user to pump a lever in order to generate the pressure needed to pull a shot. Operating one of these machines requires precision and focus on the part of the brewer, but it can be quite rewarding to successfully pull your own shot. Still, they aren’t very common anymore, even in coffee shops. These fell out of popularity in the 1940’s as new technology made the brewing process easier and more energy efficient. However, some people still hold on to the tradition for a couple of reasons. Proponents of the manual machine argue that once perfected, this machine will give you the best tasting espresso because you control every part of the brewing process. You grind the beans, tamp them, operate the lever, etc, giving you undeniable, complete control. Many fans also point out that these machines have a more unique, classic look to them, making them aesthetically and conversationally appealing. Opponents find the method cumbersome and exhausting, complaining that the manual labor doesn’t produce noticeable enough results to be worth the effort. It’s important to note that while manual machines are not particularly popular, other manual brewing methods are. There are plenty of coffee lovers, including us here at Roasty, who adore their manual brewing tools, which are capable of yielding espresso-like brews. So if the idea of being physically involved in the brewing process tickles your fancy, you could also try an Aeropress, Moka Pot, or French press. In the automatic brewing class, there are a couple different subcategories. Overall, the main difference between these machines and the manual ones is the lack of a pumping action on the part of the barista. With a standard, fully-automatic machine, you can simply press a button and the machine will pull a shot of espresso for you. You will probably still have to grind and tamp your beans, but the machine will take care of the actual shot pulling once you get it started. Super-automatic machines are the step above fully-automatic machines. These can usually grind and tamp your beans for you, as well as pull the shot. They often have a lot of programmable options which give you a decent amount of control over the brew, but not as much as a manual or semi-automatic. Spoiler: semi-automatic machines are our favorite option. They are pretty similar to fully-automatic machines except you have to decide when to stop the shot pulling. These machines often come with fully-automatic capabilities, which is a nice bonus for when you’re particularly groggy in the morning. But overall, they give you the best balance between manual and automatic, giving you both control and convenience. All around, our favorite kind of machine is the semi-automatic. With a high quality semi-auto machine, you can combine the personalized flexibility of a manual machine with the ease and convenience of an automatic machine. Thus, with these perfect marriages of machinery, you can get the best espresso. Learn the real difference between coffee and espresso so you know exactly what you're getting the next time you drink an espresso or enjoy a cup of joe. 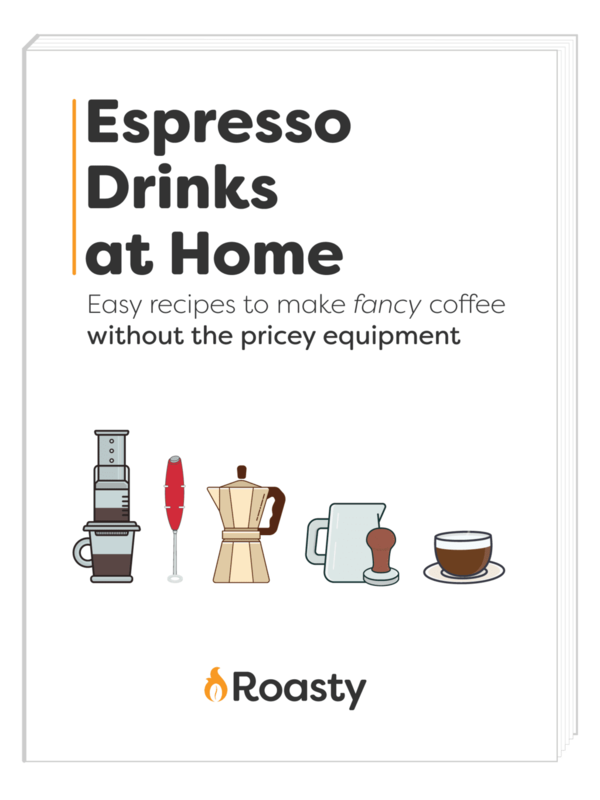 Want to save some money by making your espresso-based drinks at home, but not sure whether to go for the modern pod or the traditional shot puller? Read on for the full Nespresso vs Espresso breakdown to find out which one is better for your home-brewing needs.